I don't have many friends, but I'm very close to the ones I do have. What's funny is that we'll go months without talking with each other, except for the occasional comments on Facebook, but when we do see each other it feels like we haven't missed any time. Most importantly is that we're always there for each other. There isn't a thing one of us wouldn't do for the other. I love that! I feel so blessed to have them. For the past nine years we've gotten together for the new year celebration. We gather at someone's house and spend a few nights there. In the early years we would just hang out. Now there are lots of kids so we spend time entertaining them. But, it's an experience I wouldn't trade. I wouldn't want to spend New Year's Eve with anyone else. The celebration will likely be at my house this year (extenuating circumstances have made it so that we don't know for certain yet.) I'll probably do a fancy dinner and an easy dinner. This recipe for pasta with veggies may be the easy one! This is a standard recipe for our house because it's easy, delicious, and healthy! 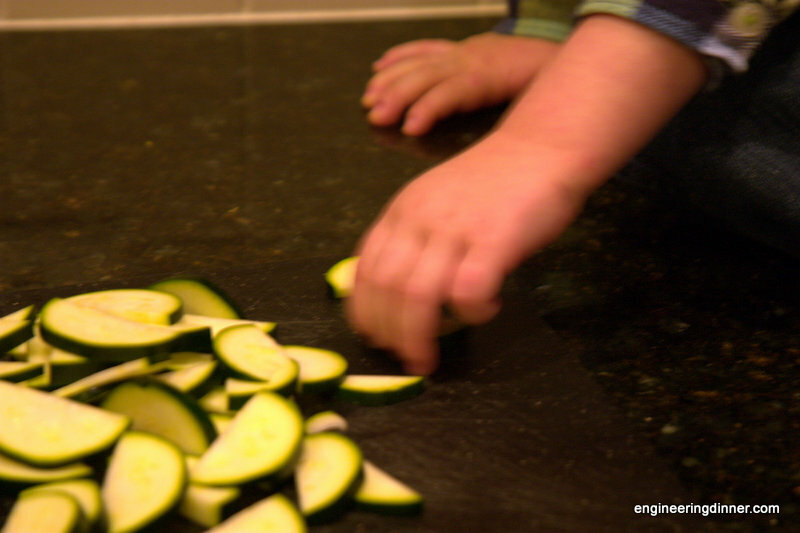 Somebody likes to steal raw zucchini off the cutting board! 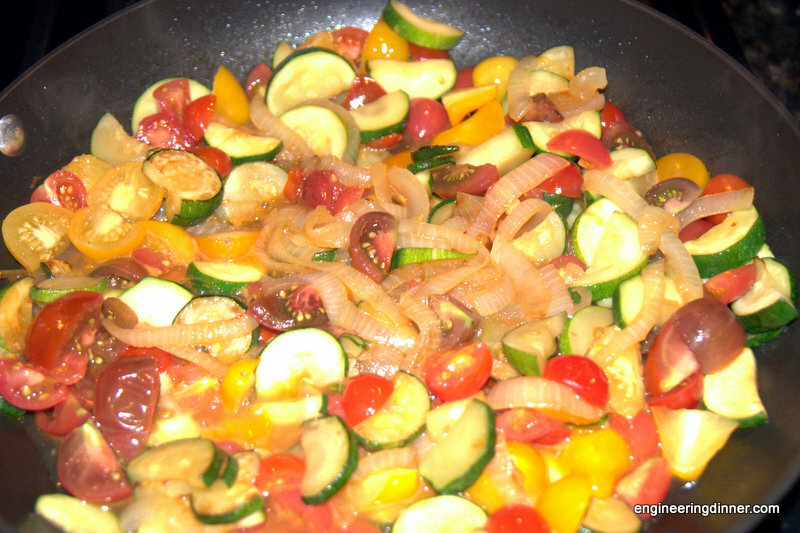 Once the onions and zucchini have started to soften, add garlic and stir for about 30 seconds, then add tomatoes and cook until soft and some liquid has released. I usually add a few tablespoons of pasta water to the veggies, as the starch in the water gives the veggies a creamier feel. Add the spinach and let it wilt. 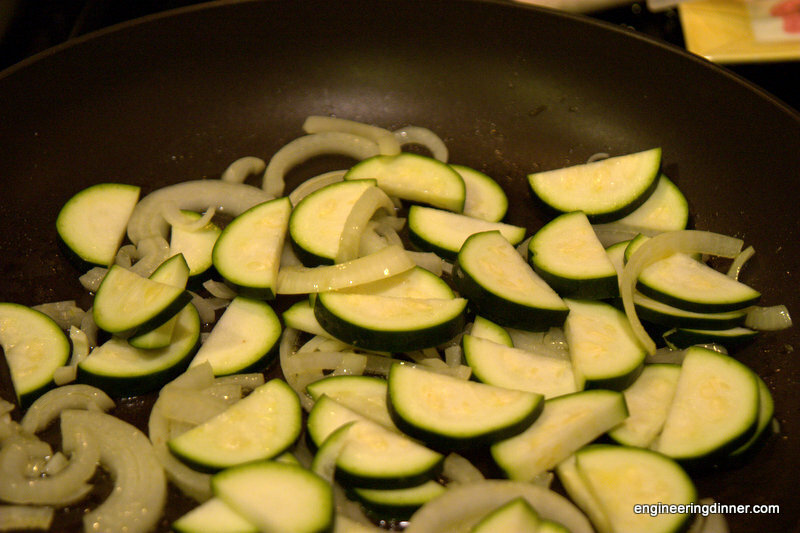 Add basil, oregano, salt, and pepper to the veggies. 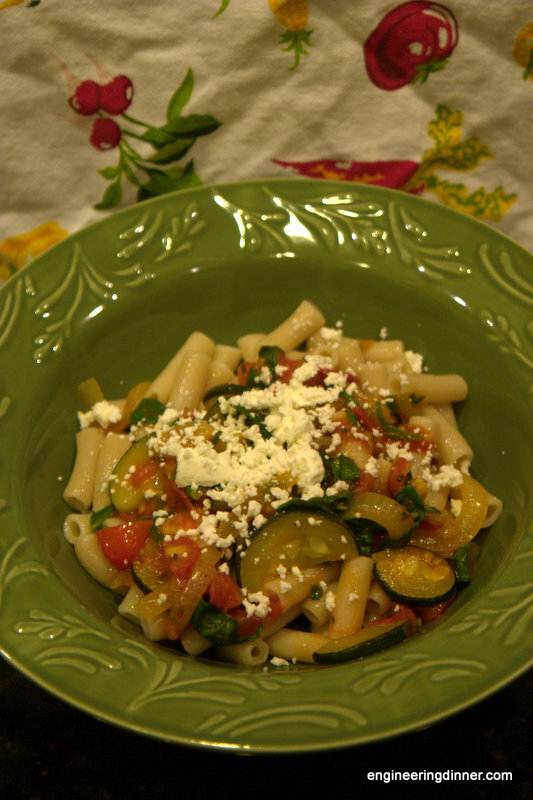 Serve the veggies over the pasta and sprinkle goat cheese on top. This can also be served over spaghetti squash instead of pasta; that's what I've been doing lately since I am temporarily grain free. This recipe was shared on Diet, Dessert and Dogs Wellness Weekend, Vegetarian Mamma's Gluten Free Friday, and Allergy Free Alaska's Whole Food Fridays. This recipe looks great! I love goat cheese and haven't used it in a while. Yum! Enjoy your new year's celebration. Sounds really nice. Thanks - it's a regular in our house! Hope you enjoy. Happy new year to you!